French Interior Minister said earlier in the day that several thousand people were expected to participate in demonstrations this weekend, including groups that could get extremely aggressive." MOSCOW: "Yellow vest" protesters should not take to the streets of Paris, since doing so would "certainly" lead to deaths, Christophe Chalencon, who calls himself the movement's spokesman, told Sputnik on Friday. French Interior Minister Christophe Castaner said earlier in the day that several thousand people were expected to participate in demonstrations this weekend, including groups that could get "extremely aggressive." According to French Prime Minister Edouard Philippe, almost 90,000 police officers will be deployed across France on Saturday, including 8,000 in Paris alone, who will be equipped with armored vehicles. 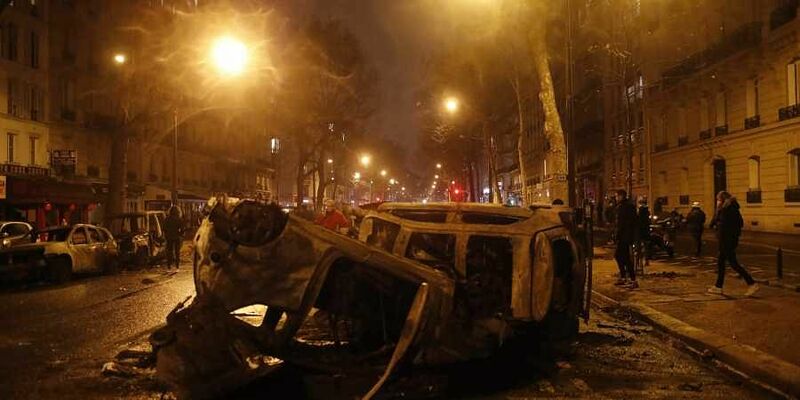 "We should no longer protest in Paris. If there are protests in Paris, there certainly will be deaths," Chalencon said, stressing the need to "continue putting pressure" on the government. "What's happening outside Paris is not that serious. We need to avoid vandals and law enforcement forces, who are present in large numbers and have much more powerful weapons. We need to avoid contact with them. We need to continue putting pressure, but with an iron fist in a velvet glove," he stressed. "We need the government reshuffle to have ministers who will be much closer, more connected to people. That is a political aspect. At the level of economy we need the increase in the purchasing power, decrease in taxes and other things you know about," Chalencon noted. "We want the government to be dismissed, to have [officials] close to people's interests. We do not want the president to be ousted, and we do not demand dissolving the National Assembly. If one of the two things happen this [will lead to] the destabilization of the country," Chalencon pointed out. The "yellow vest" movement has been organizing protests in France since November 17 in response to the government's plans to raise fuel taxes. At least four people have died in recent protests that turned violent and more have been injured. On Tuesday, Philippe said the government would suspend the three fiscal measures that were supposed to take effect on January, including the fuel tax increase, for six months. Amid the escalation in protests, however, French Finance and Economy Minister Bruno Le Maire announced on Thursday that the government would not increase the national fuel tax in 2019.